All of the rooms are single with a choice of being on the ground or first floor, and have nurse call systems, telephones and TV points. 19 rooms enjoy en-suite facilities. 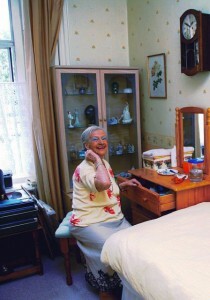 We encourage residents to personalise their rooms including bringing in their own furniture if they wish. Pets can be accommodated by arrangement. Breakfast is according to individual choice, and taken in the residents’ rooms or the dining room. 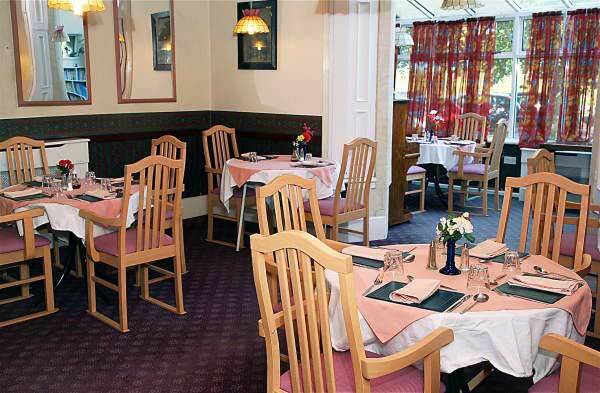 Lunch and supper are taken in the dining room and a choice of menu is available daily. As far as possible locally sourced fresh produce is used. Sherry is served before lunch and wine is available if wished. There are also home made cakes, biscuits and snacks available throughout the day and night. Here’s a sample menu which changes from day to day.